In the early years of the twentieth century, the who’s who of Cape Town would spend their Saturday afternoons on a green and pleasant hill on the eastern shores of Table Bay, enjoying the fresh air, the sunshine and the excitement of racing at the Milnerton Racecourse. 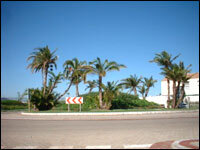 For the most definitive history of Milnerton, click here. Today this historic site on the outskirts of the Mother City – still used for training and stabling racehorses – is being transformed into a prestigious mixed use area, arranged around a magnificent “Royal Enclosure” of unspoilt fynbos. 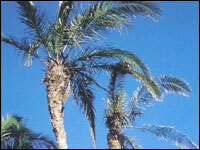 Here residents will be able to capture the relaxed lifestyle of a bygone era. 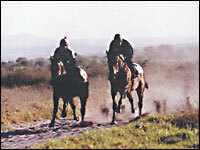 Landscaped avenues and green spaces will create a tranquil country atmosphere, while the track around the central enclosure resounds to the thunder of thoroughbred’s hooves. On the southern side of this secure estate, various office, business and retail outlets will be developed, adding to the convenience of the Royal Ascot lifestyle. 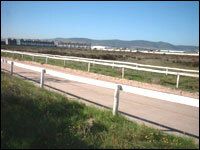 A more ideal location for Royal Ascot could hardly be imagined. Removed from the hustle and the bustle of the city, it lies within just 10 minutes drive from Cape Town. 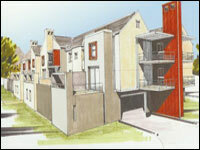 The site enjoys classic views of Table Mountain, Woodbridge Island and the coastline of Milnerton and Bloubergstrand. Road access is excellent, with Koeberg Road, Racecourse Road and Marine Drive running along the periphery of the estate on three sides. These roads provide easy access to Century City, the Northern Suburbs, and Central Cape Town on the N1, to the Southern Suburbs, via the Black River Parkway and to the West Coast along the R27. 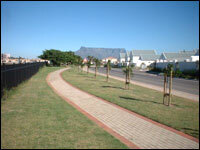 Milnerton is a well established residential suburb with a fully functioning and efficient infrastructure. Its close proximity to the sweeping white beaches of Table Bay offers a wide range of leisure options, from beach-combing to board-sailing, while other facilities on the doorstep include golf courses, sports clubs, bowling greens, gyms and health clubs. There are also good medical facilities, including the Milnerton Medi-Clinic – close by as well as a municipal library, many churches, three primary schools, two high schools and a college. The neighbouring Rietvlei Sanctuary, a significant ecological wetland, is a haven for water birds and a great place for a walk. 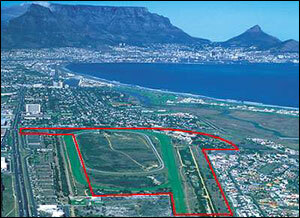 Situated on the 80 hectare grounds of the Milnerton Race Course, Royal Ascot is much more than a new mixed use development – it is in effect a new suburb and a new environment in the making, and is set to become the most sought after and affordable neighbourhood in the greater Milnerton area. Within a secured perimeter, a landscaped precinct has been laid out around a central “Royal Enclosure” of rare Cape Sand fynbos, providing residents with a safe and wonderfully tranquil place to live. A single point of entry and a tree lined central avenue provide access to a holistically planned environment in which hard and soft landscaping with sensitive architectural guidelines and generous green spaces create the ideal milieu for a relaxing lifestyle. Meandering walkways and jogging trails provide a constant invitation to enjoy the natural surroundings, while organically integrated streetscapes celebrate the vistas of mountain and sea. 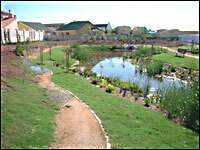 A lifestyle centre on the estate offers all the day to day necessities and luxuries, while a series of low impact office parks, business and retail components will form a buffer between the residential areas and the external roadways, as well as creating the opportunity for residents to live and work in a single secure estate. 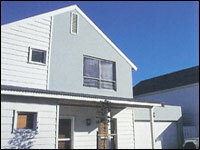 Looking for property to buy or rent in Royal Ascot wanting to sell property in Royal Ascot?